For a truly authentic show, consider adding live music to the lineup. Aida collaborates with talented musicians who specialize in playing the daf, darbouka, tubel drum and keyboard. This give the guests the chance to experience the excitement of live improvisation between musician and dancer, which is an essential part of an authentic Arabic show. Khaled Tuoma hails from Syria and is a familiar face in Auckland's Middle Eastern functions. 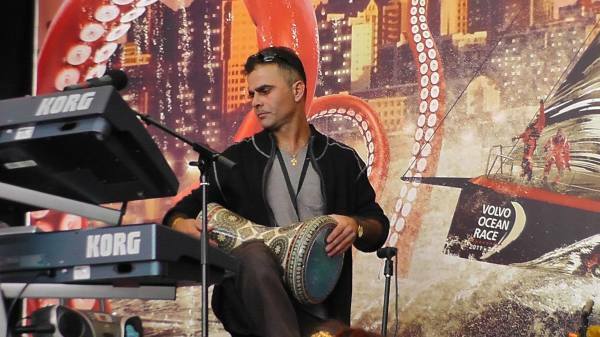 He has been playing the keyboard since childhood and darbouka (goblet drum) for the past 15 years. He is highly sought after for Asyrian, Kurdish, Persian and Turkish weddings. Jesse was born and raised in Auckland and has dedicated the last 19 years to music, having discovered his passion at 9 years old. He grew up playing rock and classical music on guitar. When he heard Arabic music for the first time, it was as if he had found a calling. He was captivated by the exotic scales and modes of the string and wind instruments and of course, the percussive rhythm. He immediately began to learn the rhythms and practicing darbouka and daf (frame drum). Today he accompanies Aida and other troupes in live performances around the country. A traditional zafa (wedding procession). 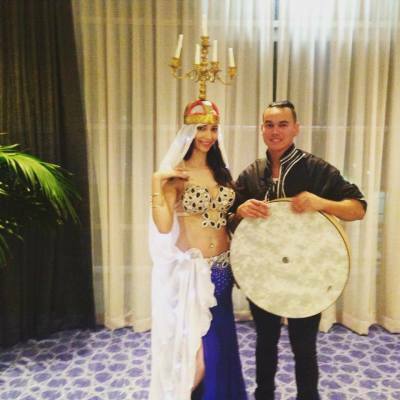 This includes a belly dancer performing with a candelabra and a drummers to announce the arrival of the wedding party into the venue. An absolute showstopper! A wonderful surprise for your guests! This is a great way to break the ice and get the party started. A 20 minute set encouraging audience participation, most importantly the birthday boy/girl who will be gifted their very own coin belt as a souvenir. A memorable night full of colour and excitement! As well as a performance, the hen's party package will include a fun and interactive 45 minute bellydance workshop and a goody bag for the bride to be (including a colourful coin belt and a free belly dance class pass). Belly dance looks spectaular on the big stage, and Aida has a wealth of experience performing in festivals in NZ and overseas. Add a unique flare to your lineup! Aida will perform at reduced rates for fundraisers/ charity events.